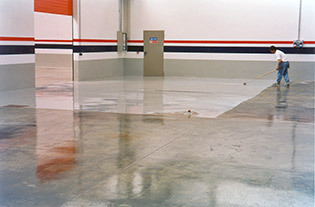 Anti-dust treatment for neutral or coloured concrete flooring. 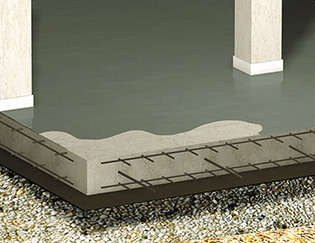 This process is used on floors that are sound and without defects. 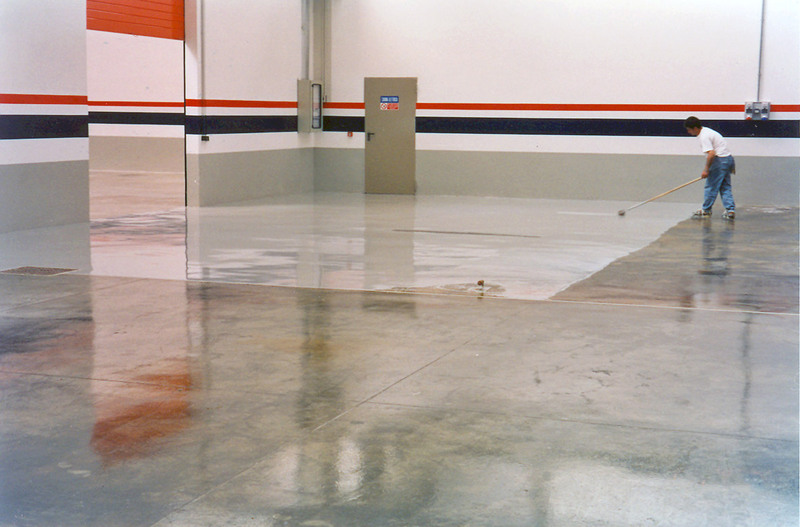 This treatment is performed by applying a layer of COVERSLIP (epoxy resins suspended water and mineral fillers) as a film layer to a concrete plate which is smooth and free from defects. Protective applications for cement based supports Used in car parks, large shed, warehouses etc..